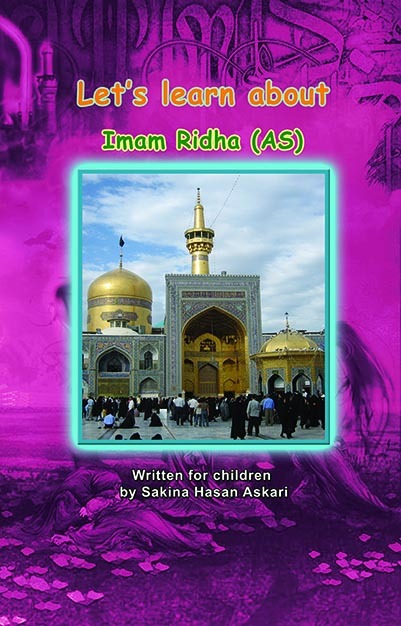 This book gives a short account of the life of our eighth holy Imam Ridha(AS). His vast knowledge, his excellent manners, his noble generosity and his deep connection with the Almighty was apparent in his actions and his spirit. His shrine in Mashhad continues to draw millions to seek the pleasure of Allah even today. Learn about Karbala and the Day of Ashoor. You will read what happened on the first 12 days of Muharram. 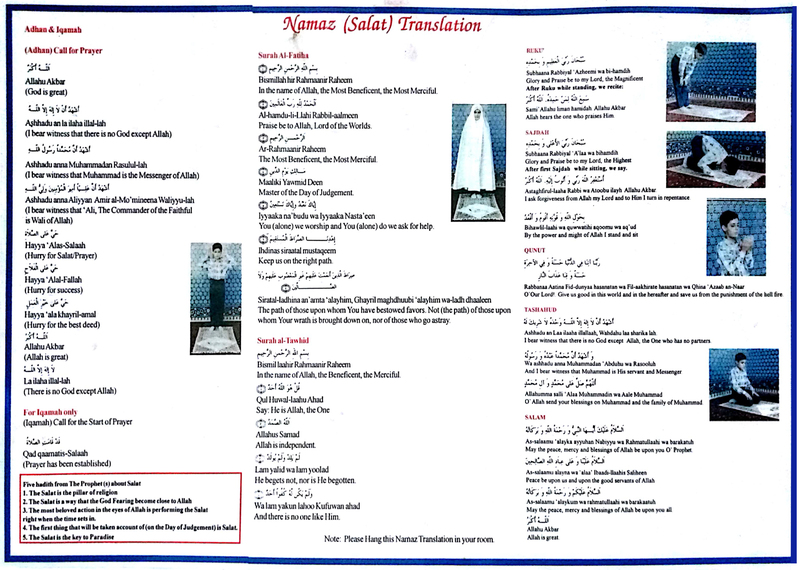 You will be able to read a majlis for each of the martyrs. Find out how Imam Hussain (AS) sacrificed his sons his family and his companions to save the message of Islam. Bibi Sakina (AS) the 4 year old daughter of Imam Hussain (AS) was special. Her pain and suffering after Ashoor touched the hearts of millions. Find out about her courage as she faced the cruel Yazeed. The brave daughter of Imam Ali(AS) and Bibi Fatima (AS) carried on the mission of her brother Imam Hussain (AS) to save Islam. Read about her journey to Shaam and her courage at every step as she faced hardships. Learn about Hadhrat Abbas, this valiant son of Imam Ali (AS), who supported his brother Imam Hussain (AS) through every breath of his life. 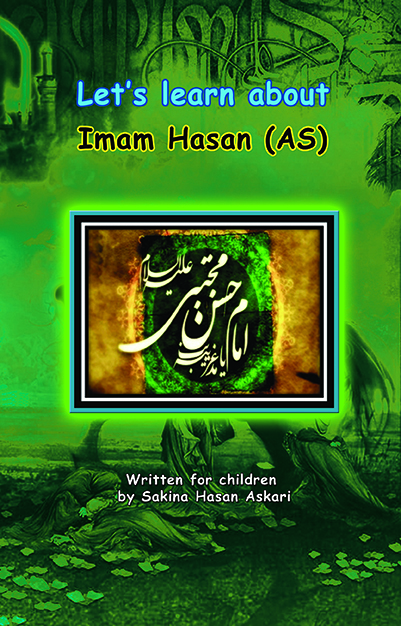 Read details of his role in Karbala as he held the banner of Islam high in his hands. The 4th Imam Ali Zainulabideen (AS) spread Truth through prayers and mourning for the martyrs of Karbala. Learn about his life and teachings. The best of creation, the noblest example, the Mercy for all mankind, the Holy Prophet of Islam is the last Messenger from Allah. Find out about him and his teachings. This book tells you about the greatness of Maula Ali(AS) our first holy Imam from his birth in the Kaaba to his martyrdom in Masjid e Koofa. Learn about his bravery, his generosity, his kindness and his wisdom, his knowledge and his worship. The only daughter of the Holy Prophet Muhammad (SAW), Bibi Fatima is the perfect example for us to follow. Read stories from her life to learn how she cared for others, stood for justice and was martyred. It is our duty to recognise the Imam of our time. Learn about the 12th Imam, about his parents, his birth, his ghaibat. Find out what our duties are as his followers and how we can connect with him. Find out about the holy month of Ramadan , the month of the Quran. Read duas on each day and learn about the amazing miracle of Allah’s revealed message. Learn about people connected with this holy month and holy book. Baqee, the graveyard in Madina has 4 of our holy Imams’ graves but alas the tombs have been razed to the ground. Learn about its history and join in greeting the holy ones who lie buried here. Our Islamic herige is being destroyed before our eyes. Find out what we can do.